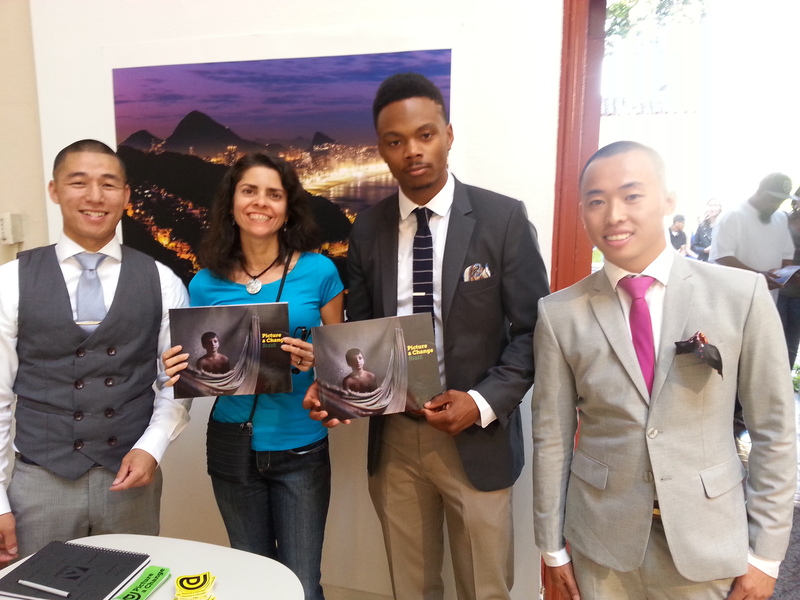 I had the pleasure to attend the book release event for Picture a Change: Brazil (yes, that is me in the picture above, with the project team). 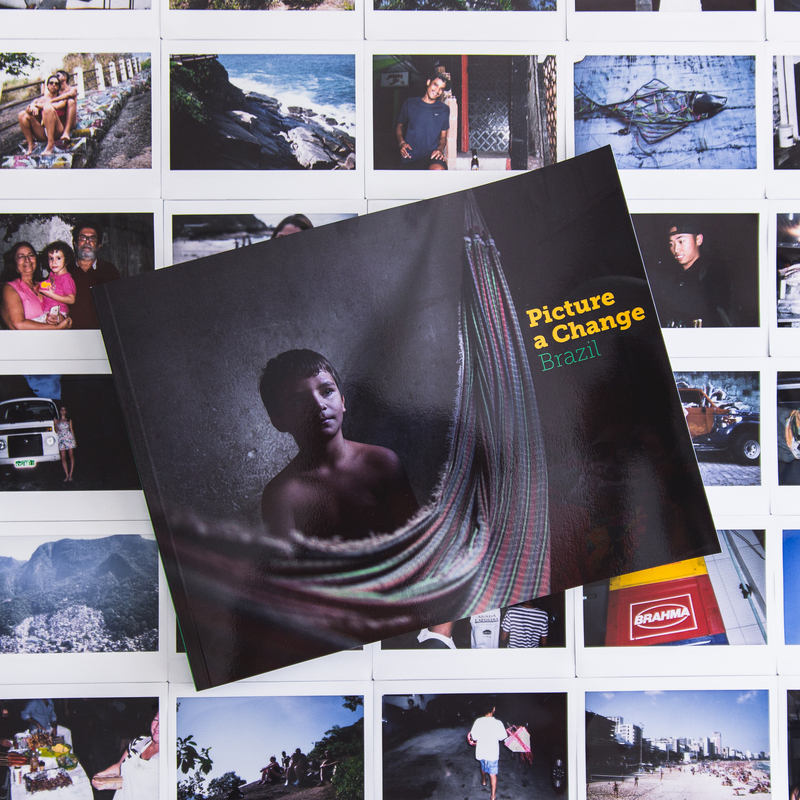 Picture a Change is more than a photo book. Through art and activism, this group of young artists raise resources that can be used to empower local communities in developing countries. 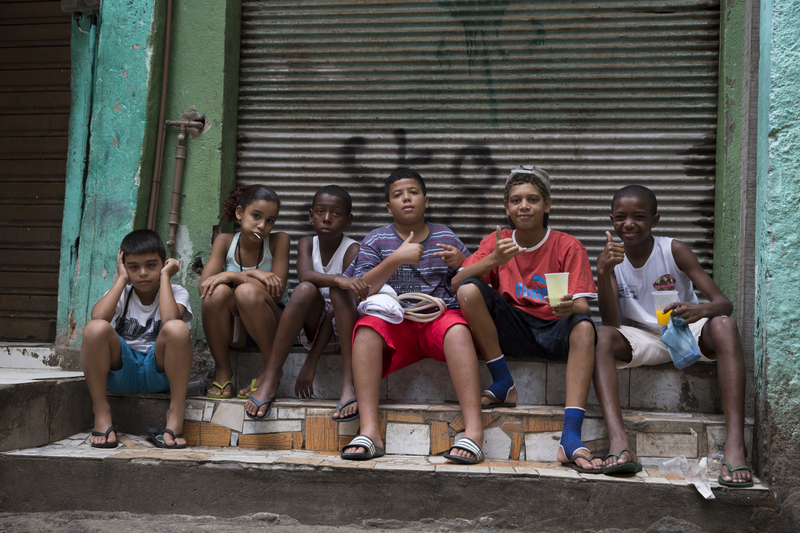 This first book documents their work in the Brazilian favelas and their accomplishments while working with the children in the local communities. Below is an interview with the artists: Adrian Burrell, Jeri Tern, and Nicholas La, who were very kind to let me use some of their great photos in the post. Thank you so much for sharing your unforgettable experience in Brazil with Street Smart Brazil’s readers. Q: How did you get the idea to do this project in Brazil? A: (Jeri) While applying for a grant that awards select teams and organizations with a charitable sum, we pooled together our strengths as teachers, photographers, and filmmakers to bring about a photography program. 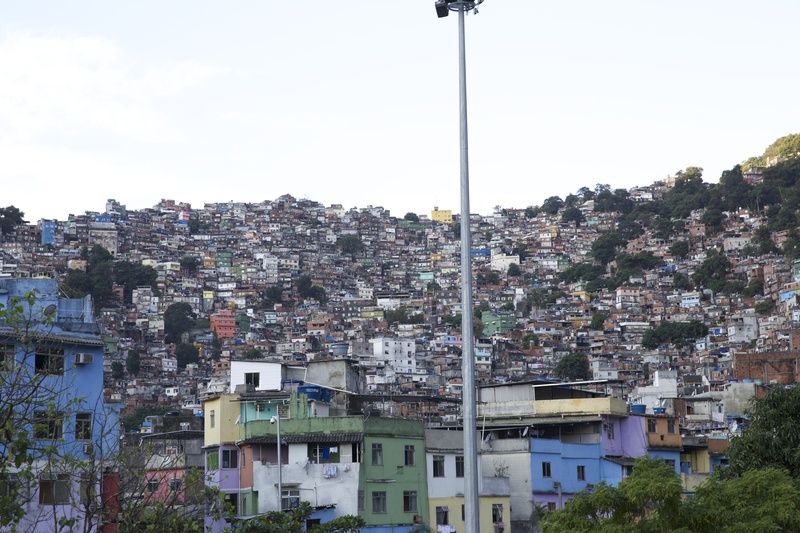 We researched many countries and a lot of them had similar socioeconomic situations to the comunidades in Brazil, but the strength we saw in favelas is what really drew us towards starting there. We wanted to go because we felt that there was a generation of children that would enjoy learning photography and expressing themselves through the lens. 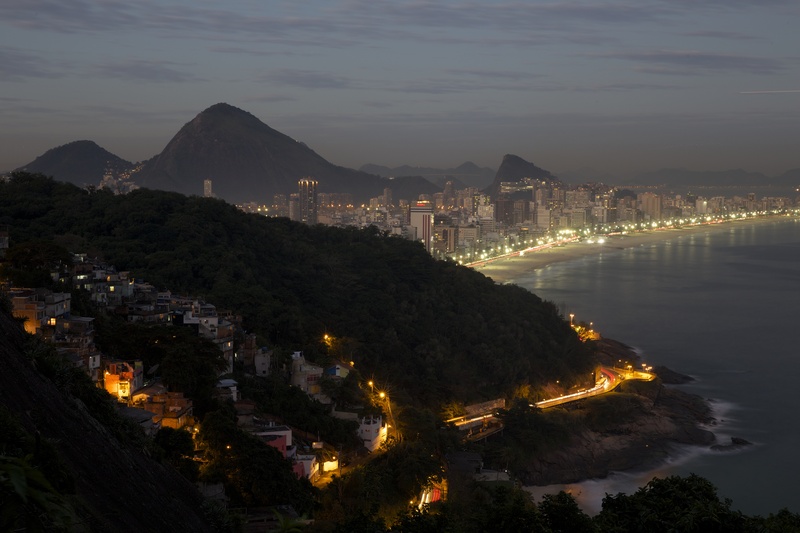 Q: Was it difficult to convince your partners to live in a favela for 3 months? A: (Adrian) No, it wasn’t. We found a commonality in helping whenever, wherever, and whomever so living in another country for 3 months when we supported each other was not a problem at all. We did do a ton of research though, things like possible allergies, visa requirements, and taking extra precautions when it came to carrying around our equipment openly were all looked over multiple times, again and again. Q: You mentioned that you have traveled to many different places and that this trip to Brazil was your favorite experience so far. Why was that? A: (Adrian) We found that there was no shortage of heart, smiles and good intentions in Brazil. Even in the unlikeliest of places we found people that would invite us into their homes and to their parties making us feel welcomed like family. Because we did not know what to expect we didn’t bring any nice clothes because we did not want to be too flashy, so the owner of the hostel we stayed at in Vidigal brought me to his room, opened his closet and said, “I don’t have much but you are welcome to it.” I’ve never felt so welcomed in any other place I’ve been to, even in my own city. Q: Was there anything in Brazil that was totally unexpected to you guys? A: (Nicholas) I didn’t expect to find so many nonprofits and community outreach centers in Rocinha. There are so many people from the community doing great things to uplift themselves and the people around them. It was definitely an inspiration to see. There were daycares operating on a deficit that refused to turn any child away, surf schools open 7 days a week, youth dance classes competing in worldwide competitions. Pretty much anything you can think of, they probably had; there is a strong sense of community in Rocinha. Q: Did you feel any cultural shock? A: (Adrian) I didn’t speak any Portuguese when I arrived. I’m of African & Iberian decent from Oakland, California, but I felt right at home. It was easy for me to pick up enough Portuguese to get around and easier to learn the dances. On another note, the wonderful Brazilian food did make me 25 pounds heavier. Q: What was an unforgettable moment from this trip? A: (Adrian) Prior to boarding, I met a woman and her husband at the airport in SF and they invited me to stay on their farm in Santa Teresinha, a small town in the state of Paraíba, in Northeastern Brazil. I had been in Brazil a few months now and had gotten a little darker, I wore havaianas and short pants every day, and was taking photos and helping out a little on the family owned coconut farm. That memorable moment hit me one day as I looked up at the sky while on the tail of a motorbike with two other people, wearing my havaianas and short pants, going down cobble stone streets, carrying a bag of sheep skin in one hand and a rocking chair in the other. There aren’t many cars and no street lights that I could remember, so in the daylight the sky was the deepest blue I have ever seen in my life, and at sunset the whole family and I would sit on the porch in hammocks just to watch colors that could only come from God’s paint brush; also, by night fall you could see every star in the sky. 7. Do you intend to go back to Brazil? A: We will go back to Brazil every chance we get, for as long as we can. We’re eager to see how our class progresses and how our students grow. We plan on doing more projects in Brazil and across the world. Picture A Change: Brazil is the first of many projects to come for our team. You can purchase the book here and lend a hand to the project!